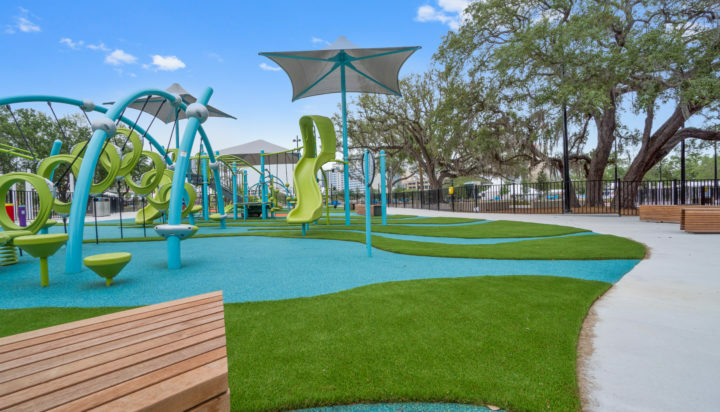 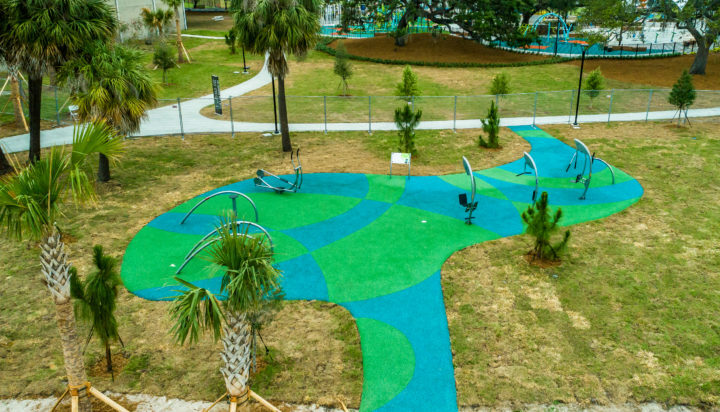 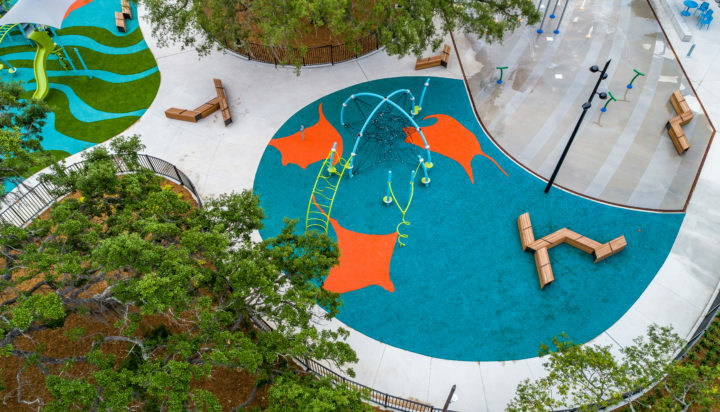 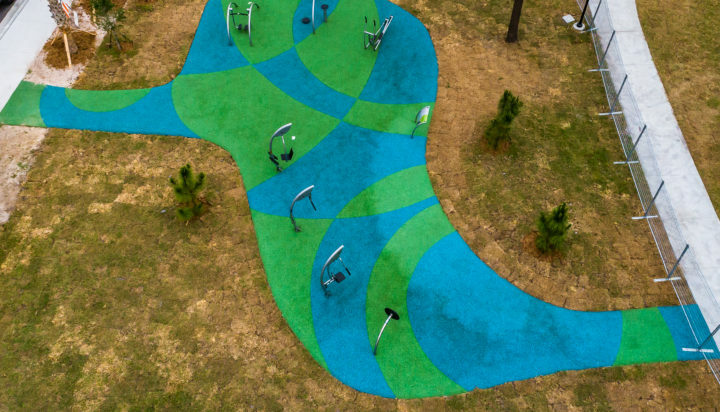 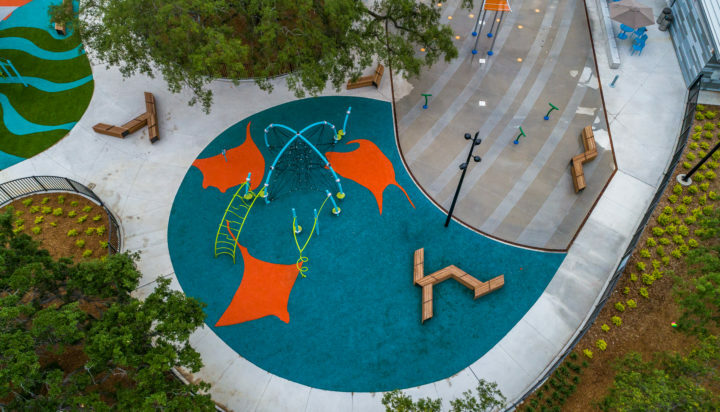 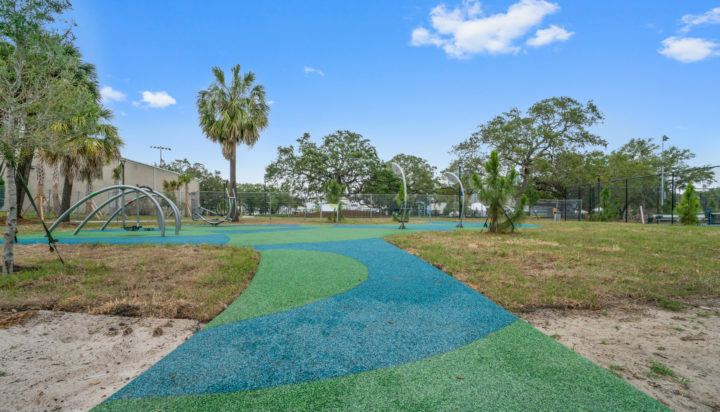 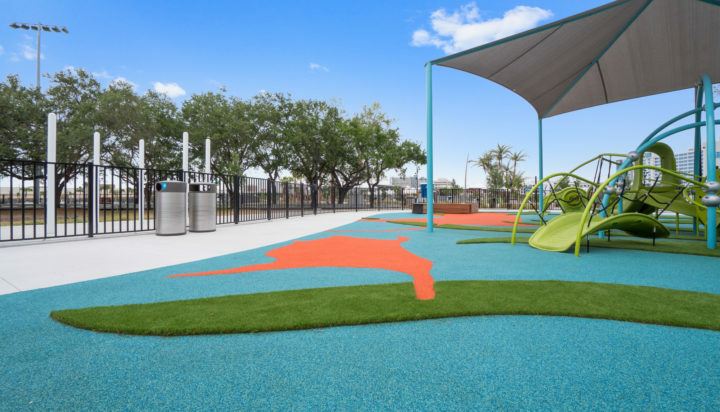 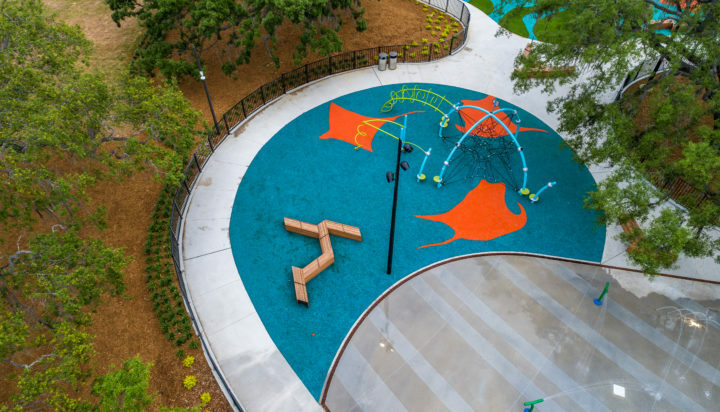 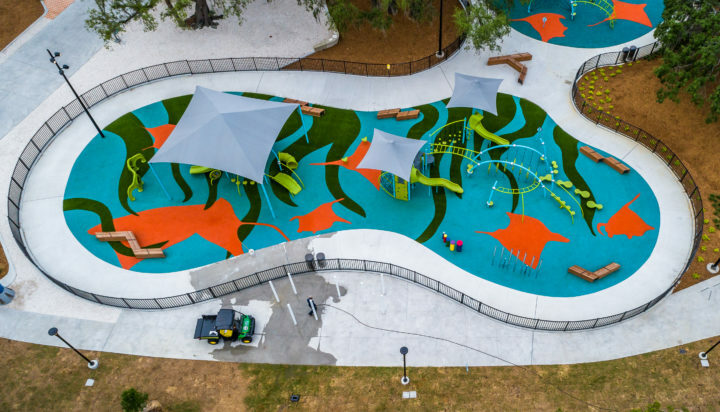 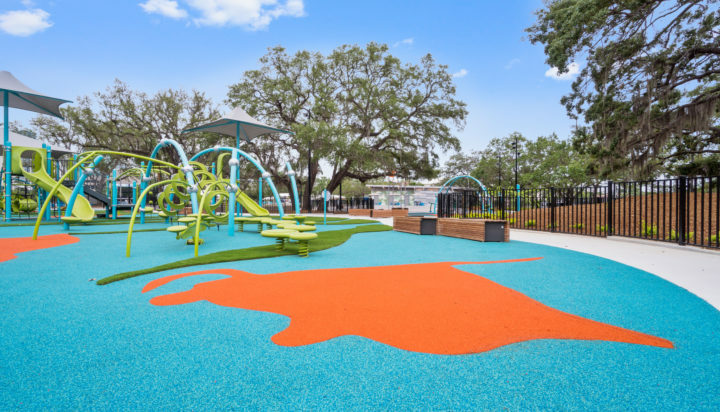 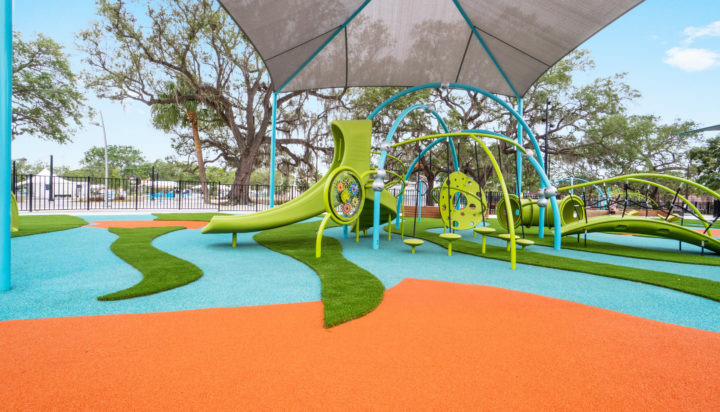 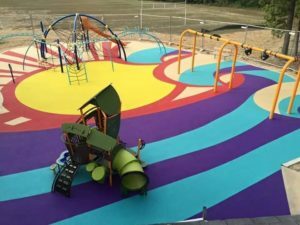 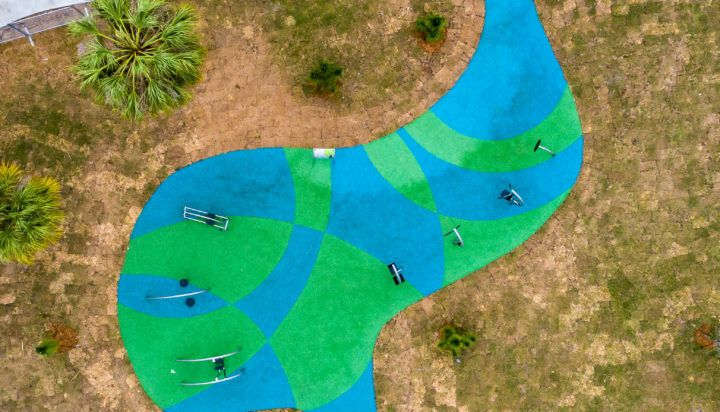 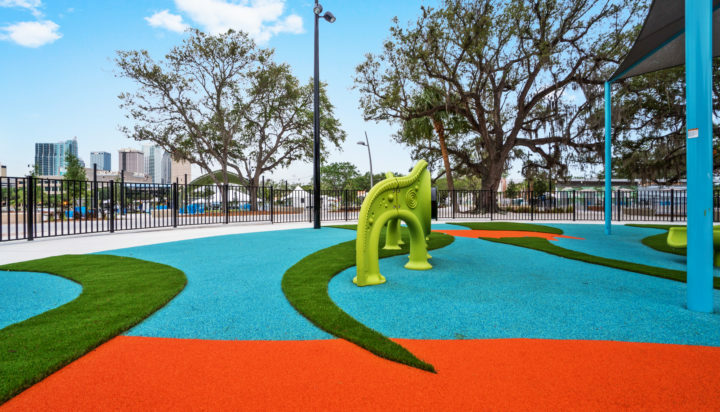 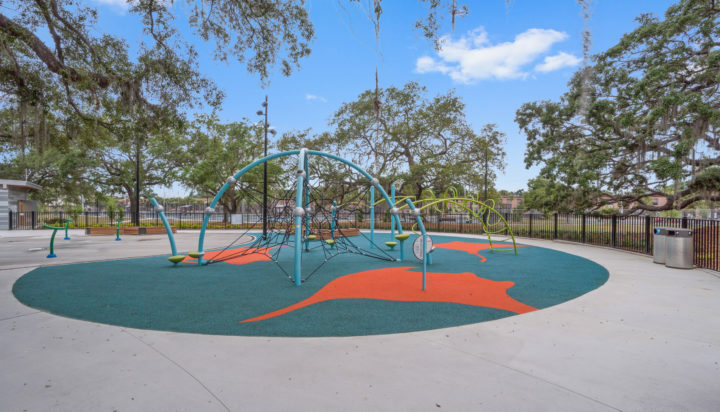 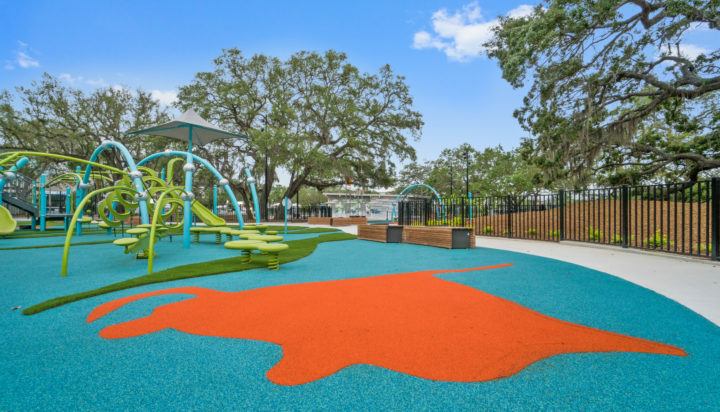 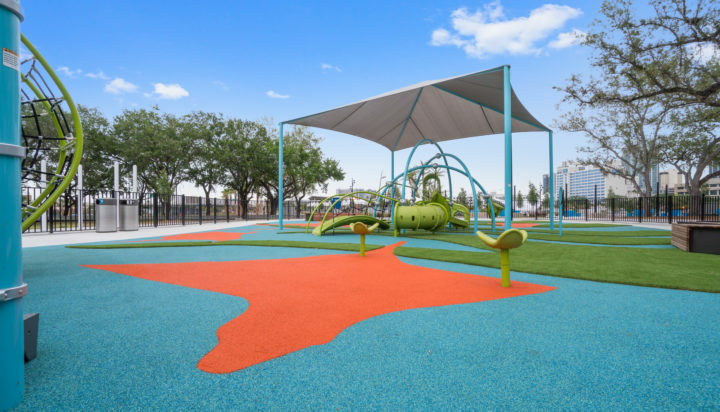 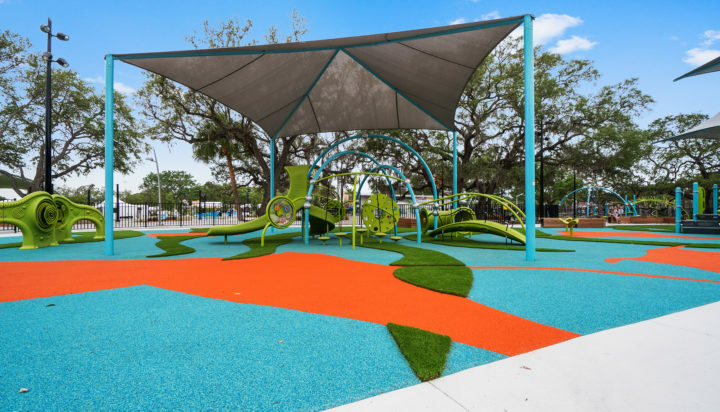 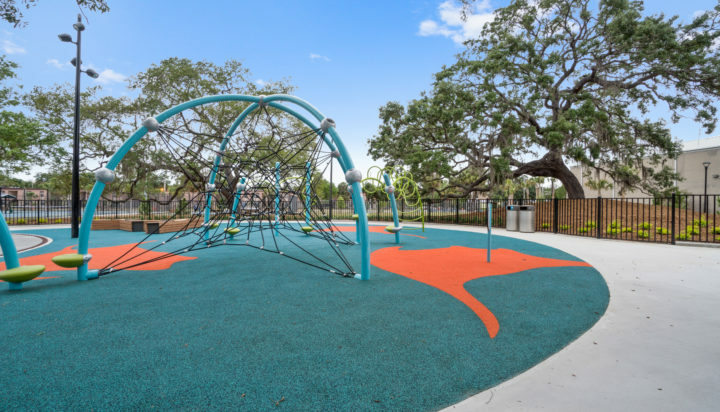 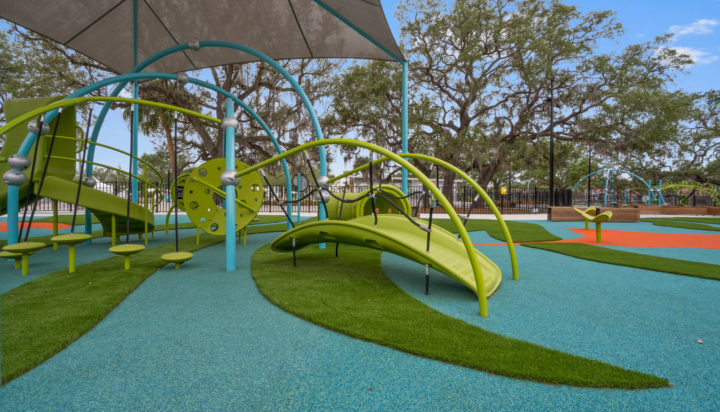 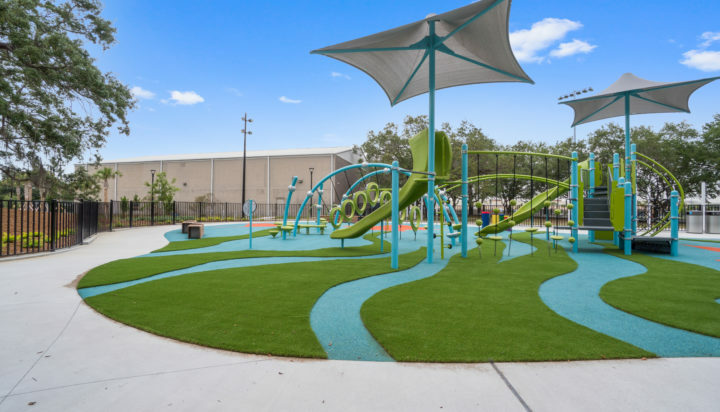 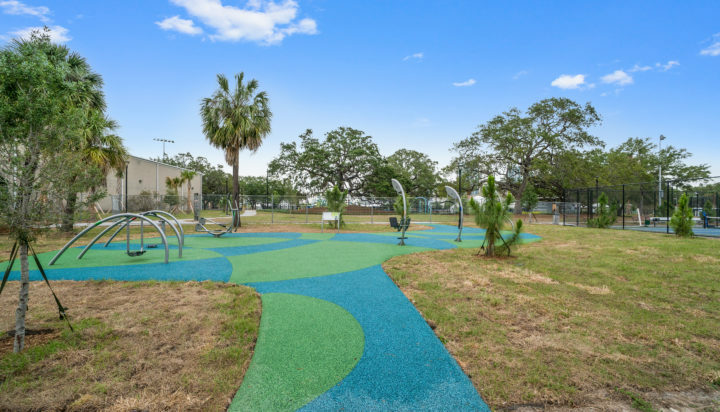 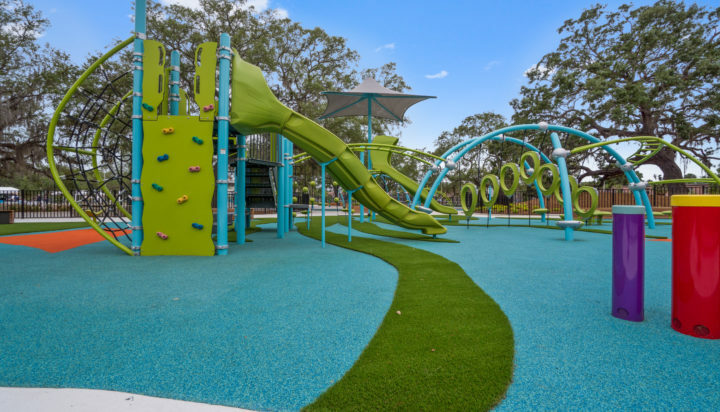 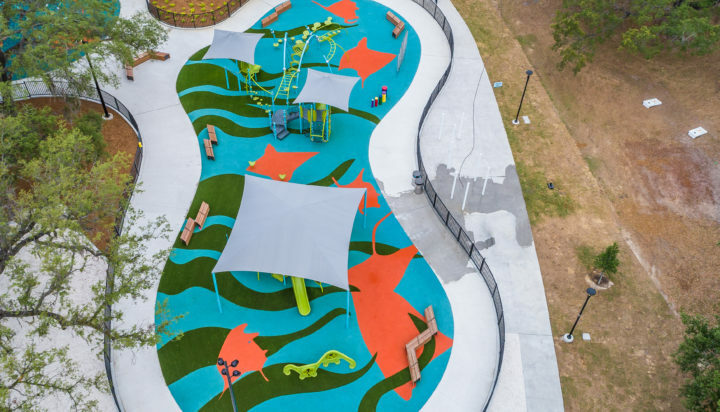 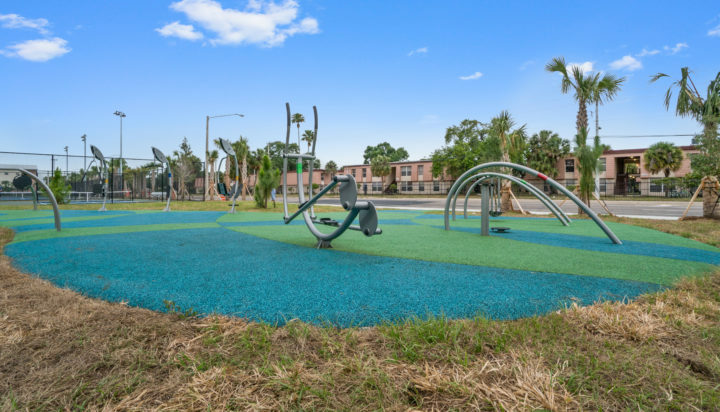 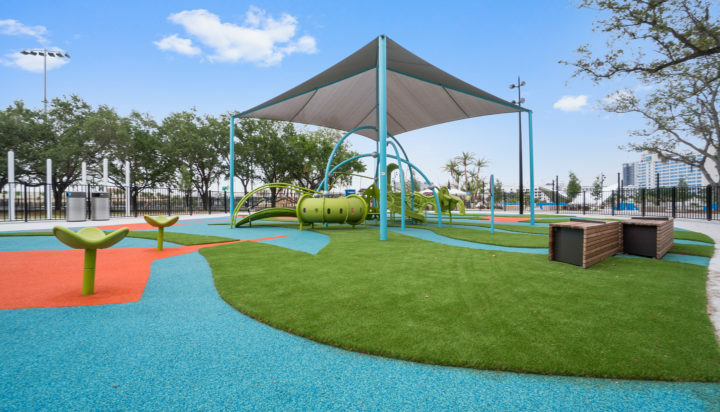 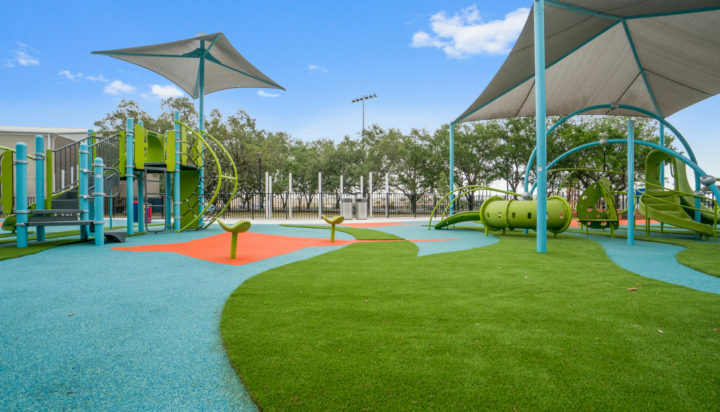 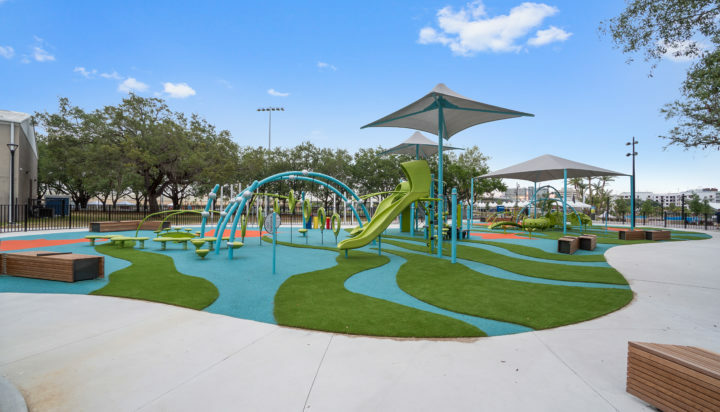 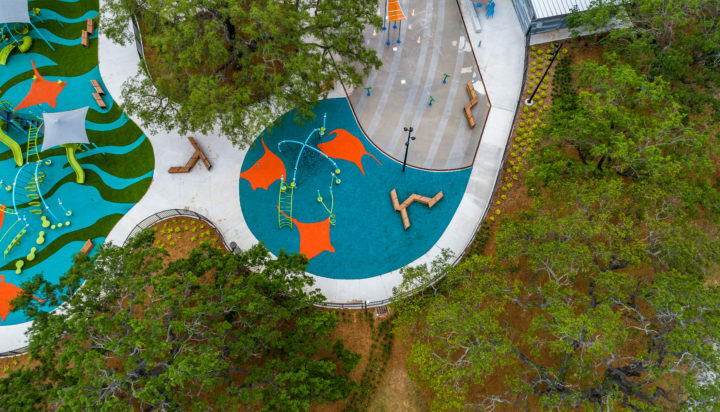 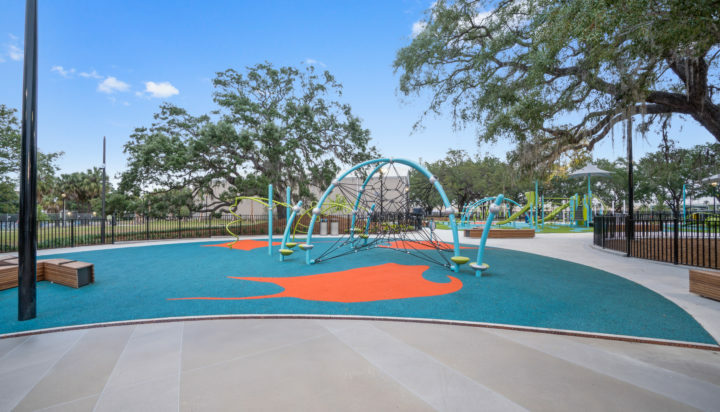 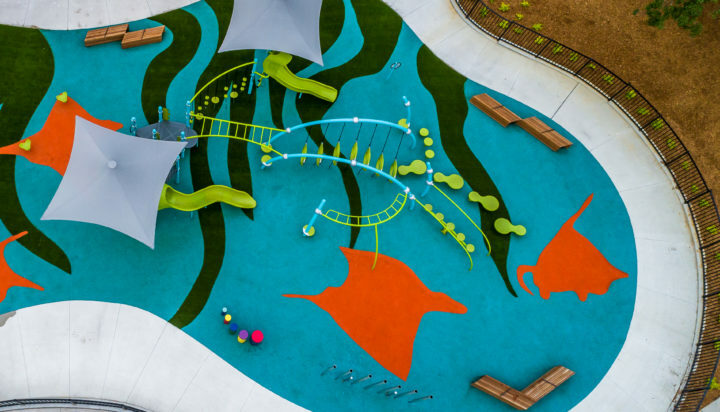 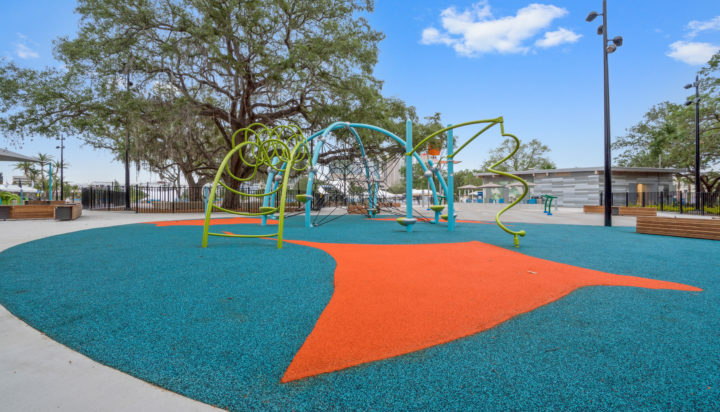 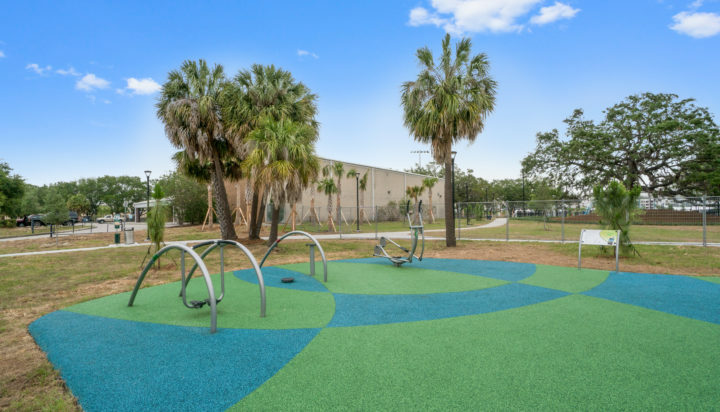 This amazing surfacing project combined the use of decorative poured in place rubber playground surfacing along with artificial turf. 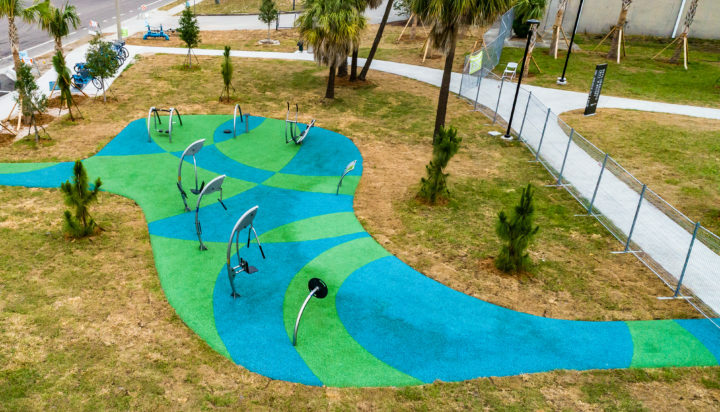 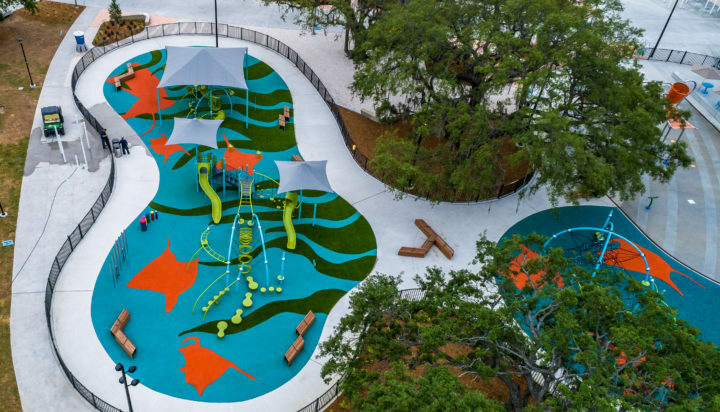 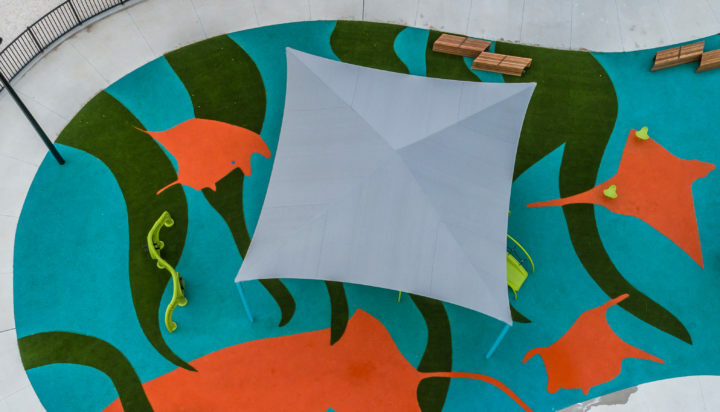 Our team of experts was able to create a one of a kind piece of art located in the heart of Tampa at JBL Riverfront Park. 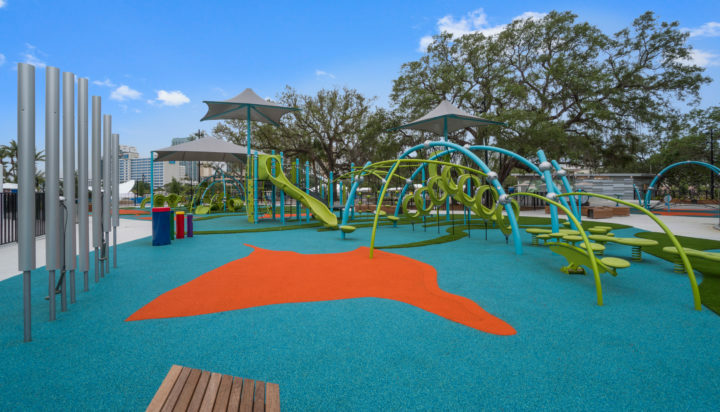 Designed to meet ASTM and CPSC guidelines for unitary poured surfacing. 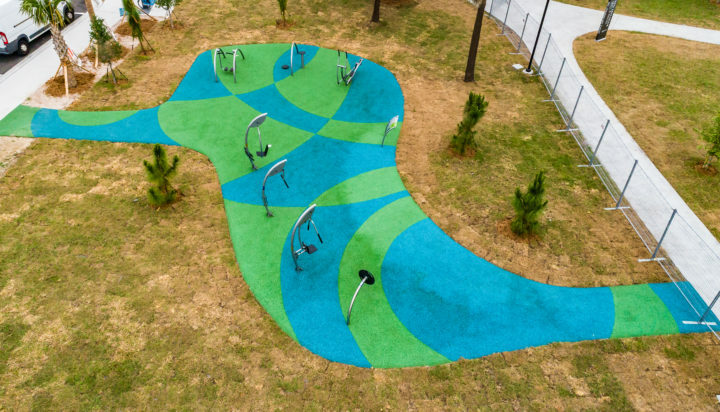 Amazing artwork and utilization of turf inlay.